How staff at The Engine is Red played a vital role in rebuilding Sonoma County after the inferno destroyed 6,000 homes and claimed 44 lives. Chris Denny awoke to banging on his door at around 3.30am. It was his neighbor -- a Santa Rosa police officer -- who alerted him to one of the most devastating wildfires that had ever torn through Sonoma County in California. 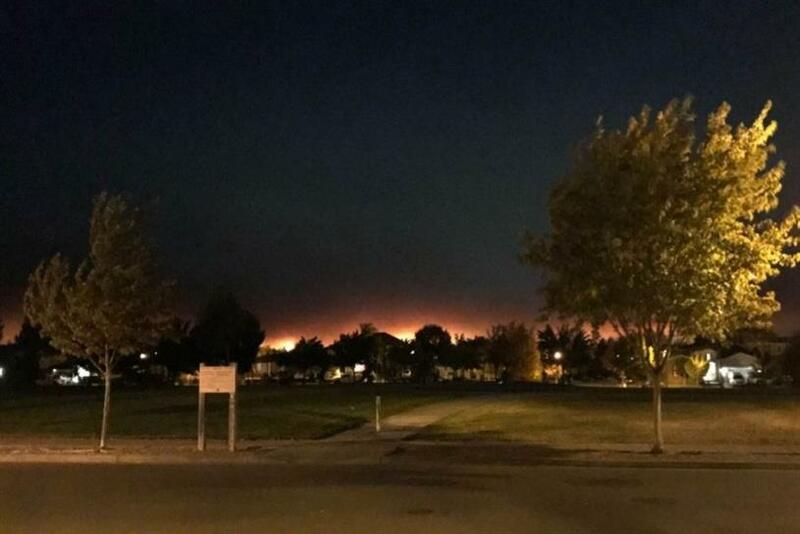 "At that point the sky looked like a dark red and bright orange sunrise," said founder and president of The Engine is Red ad agency, recalling that night in October 2017. "It was crazy-hot and ash and smoke was blowing at 40 miles-per-hour." Denny and his neighbor spent the next two days sleeping in shifts as the Tubbs inferno wiped out around 6,000 homes and claimed 44 lives. Once the fires were extinguished, the community rallied and began the years-long process of rebuilding. New structures are replacing the physical damage amounting to more than $1 billion. But, for many, the mental trauma of what was witnessed and lost will take far longer to heal. The Engine is Red was tasked by the Healthcare Foundation of Northern Sonoma County with developing a campaign to let survivors know mental health services for anyone suffering post traumatic stress disorder (PTSD) are available. "There were a couple of underlying issues that prevented people from taking their feelings seriously," said Denny. "One being that 6,000 homes burned that night -- that was five percent of our housing -- 95 percent didn’t lose their home. So although it was still traumatic, they thought that other people needed help and they didn’t." Developing "My Sonoma Strong" took a highly specialized, research-driven approach that called on top experts in the field of mental health. One of the most unfortunate things about PTSD is that most of the time people aren’t even aware they are dealing with it. It can take nine months to a year for the effects to fully set in. It left the agency with a challenge of how to build a campaign to help people who don’t yet know they need it. "It’s not everyday that you are your own audience. We’re brainstorming and you’re watching these creatives get emotional because we’re not talking about somebody else -- these writers, these designers, these strategists, these creative directors -- they all evacuated. It’s their spouses and their kids who are having nightmares and a hard time. This particular project hit really close to home." The team wanted to stay away from the cliche with bright and approachable work. Creatives built out platforms that were able to bring mental health services to people with ease, like an instant text hotline. The campaign was centered around simple, conversational messages to elicit hope -- right down images used which include new life sprouting from charred trees. The bi-cultural work was constructed in both Spanish and English. "After the fires it takes time to recover -- take that time," said Denny. Work went live around one year after the Tubbs fire. Sadly, it also came as the Camp fire swept through California and caused even more devastation. For Denny and his team, this is just the beginning. They will continue to build out the services as the healthcare foundation continues to raise funds. The agency's goal is to share the work globally and offer what they’ve achieved as a platform for the next affected community. "The response has been amazing," Denny added. "With such a significant and serious topic, to have such a focus be about positivity has been really therapeutic for us. "As a creative, to be able to use your crafts and gifts to heal and support your community isn’t something we get a chance to do all the time, so as a team it’s been one of our favorite projects. It’s given us the opportunity to help our neighbors in a way we couldn’t before."